Mint marks None, all pieces struck at the Philadelphia Mint without mint mark. 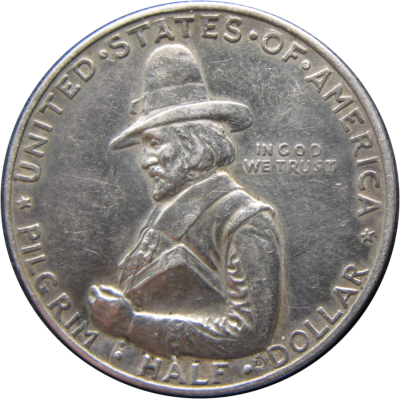 Note a small, incuse D underneath the Pilgrim's elbow. While this might appear to be a mintmark (for Denver) to the uninitiated, this was put on the coin to indicate the designer, Cyrus Dallin, and the D represents his last name. Mint marks P, D, S, W. "W" mint mark only on 2014 commemorative issue. Mint mark located beneath where the eagle's claws grasp the olive branch on reverse for 1964 coins and for 1964-2014-W gold issue; above the date on the obverse for all other issues. 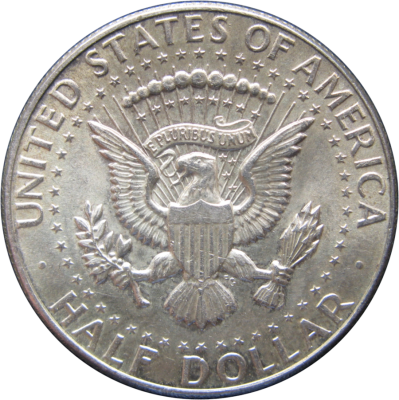 Mint mark omitted on all coins from 1965 to 1967 and on Philadelphia Mint issues before 1980. The silver coins were hoarded upon their release in March 1964 by collectors and those interested in a memento of the late president. Although the Mint greatly increased production, the denomination was seldom seen in circulation. 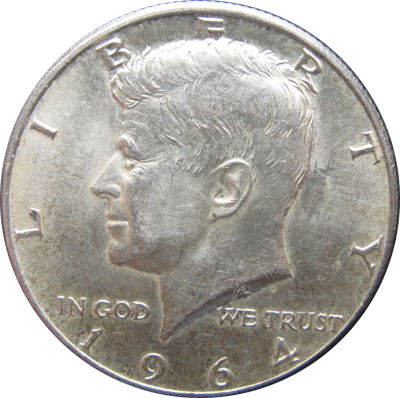 Continued rises in the price of silver increased the hoarding—many early Kennedy half dollars have been melted for their silver. 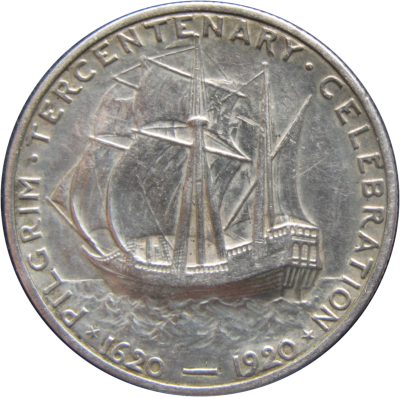 Starting with 1965-dated pieces, the percentage of fine silver was reduced from 90% to 40% (silver clad), but even with this change the coin saw little circulation.